When you create a new space, you have to do your best to solve the problems in the old space. One of the challenges we have with our current office is the lack of separation between our desks and the break area. If one person wants to heat up food in the microwave the rest of us are inundated with the smell. When Brandi brings Jousting Pigs BBQ it it wonderful, but the rest of the time, not so great. In our new office we will have a separate break room in the original kitchen. It will provide lots of additional storage and counter space as well as a way to take a break from work and sit down to a meal. 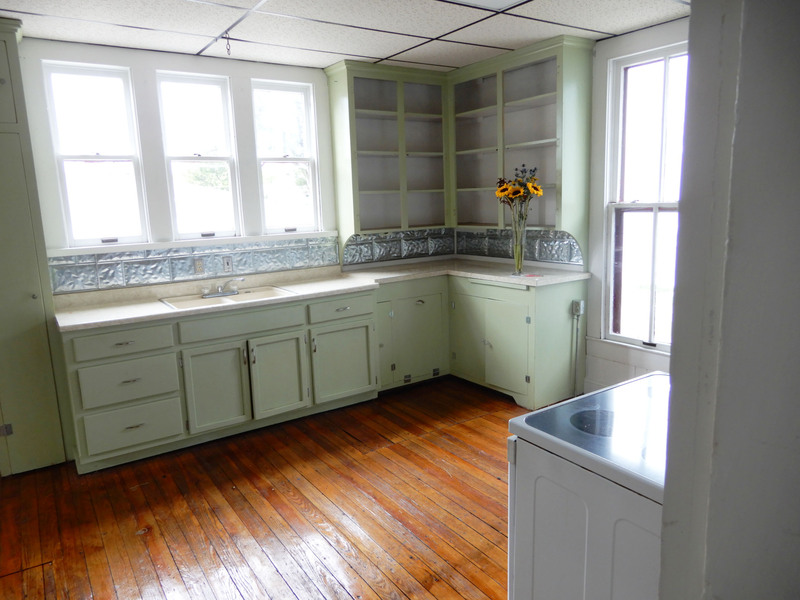 In our continued effort to maintain the historic character of the building while creating a modern functional space, we will be restoring the original cabinets but adding a modern counter top and backsplash. 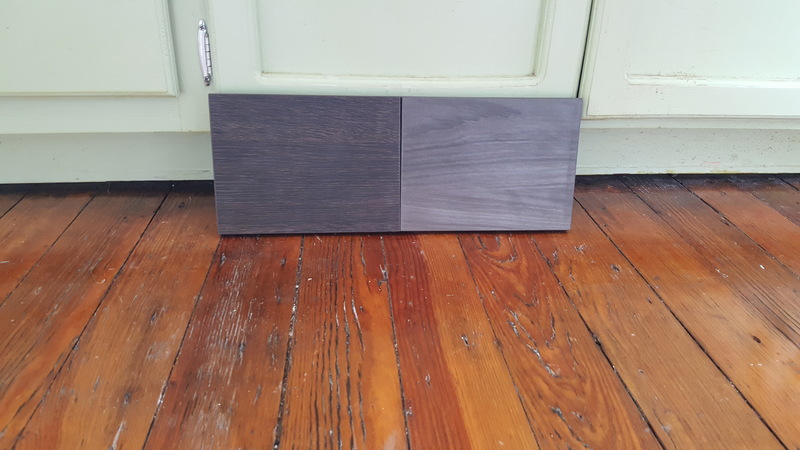 The backsplash incorporates the color palette that we have selected and has a more historical shape to the tile. 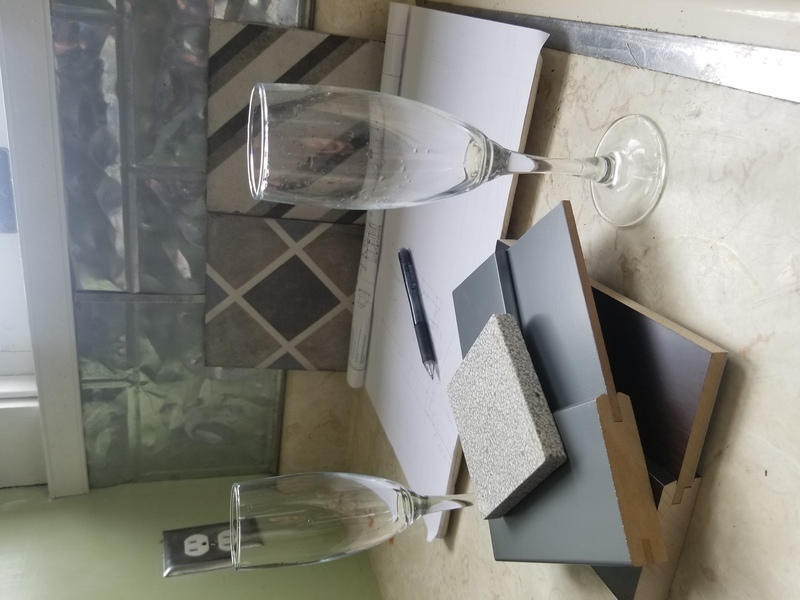 The counter tops will be made from recycled porcelain from Recycled Surfaces so we can incorporate a modern, green material into the historic kitchen.